Canada’s exports declined 0.6% in May while imports were up 0.2%, bringing our trade deficit withthe world from $3 billion in April to $3.3 billion in May. 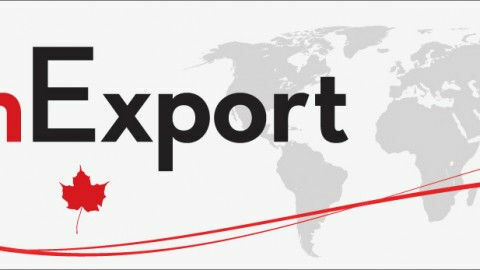 Exports declined to $42 billion, the fifth consecutive monthly decrease, with declines in metal and non-metallic mineral products (-5.8%) and metal ores and non-metallic minerals (-9.2%) partly offset by gains in aircraft and other transportation equipment (+10.3%) as well as motor vehicles and parts (+2.7%). Imports edged up to $45.3 billion, as 7 of 11 sections increased, with consumer goods up 2.3%, metal and non-metallic mineral products up 5%, while imports of aircraft and other transportation equipment declined 12.4% and industrial machinery and equipment were down 5%. Specifically concerning the all important energy sector, our exports of energy products increased 1.3%, with exports of refined petroleum energy products rising 7.4% but exports of crude oil and crude bitumen falling 1.1%. Imports of energy products meanwhile were up 2.9%, led by crude oil and crude bitumen. As to the breakdown by region, exports to the United States declined only 0.3% but exports to other countries fell 1.6%, the United Kingdom and China decreasing the most. Imports from the United States increased 0.5% while imports from elsewhere were down 0.2%, led by Japan and Italy, while imports from the United Kingdom and Norway were up. As a result, Canada’s trade surplus with the United States narrowed from $2.3 billion to $2.1 billion while our trade deficit with other countries widened from $5.3 billion to $5.5 billion. South of the border meantime, the U.S. international trade deficit in goods and services increased from $40.7 billion in April to $41.9 billion in May, as exports decreased 0.8% while imports remained stable. Capital goods led the decrease in U.S. exports, particularly civilian aircrafts and industrial machines. The U.S. deficit with China and Mexico went up but their deficit with the European Union was down.